Villanova and Georgetown tied for first today at the NCAA Mid-Atlantic cross country regional at UMES; each team scored 57 places for the tie. 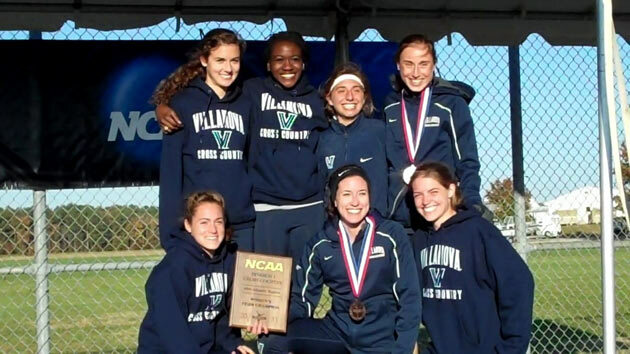 Sheila Reid beat Georgetown's Emily Infeld by less than 2 seconds for the individual title (her third consecutive NCAA regional win), with Villanova's Bogdana Mimic coming home third overall. Due to an error on the course, all the women ran 500 meters longer than the intended 6K distance.